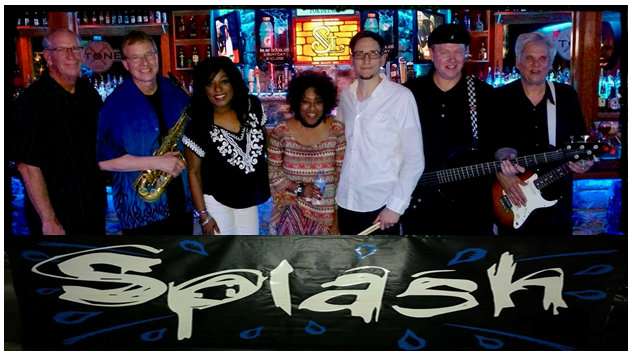 Splash is a seven member group providing the Southern Tier of NY and the surrounding areas with music and entertainment for local night clubs, concert venues, corporate & private events, and wedding receptions for fourteen years. We perform a variety of music from 60s to current encompassing R&B, Motown, classic rock, funk, pop, soul, and jazz for cocktail hour/dinner events. Come out and get on the dance floor with us! Excellent Band!! Book them for a gig, they won't disappoint. This past summer a friend of our family invited me out to hear them play at the Number 5 Restaurant. I wasn't expecting much but then they started to play. And honestly, I was blown away by their instrumental precision, their vocals and the wide range of music they played. It was really great to hear such an outstanding local band. Thank you very much for your review of the band's performance at The Number 5 Restaurant, in Binghamton, NY. We hope to see you again soon, and thanks again for your support. Splash has been one of the areas premier bands for almost two decades, covering great dance and listening music in a variety of styles. This seven piece band delivers high quality, high energy performances at clubs, parties, weddings and community events. Voted Best Band 1999, 2003, 2004, 2005, 2007, 2008, 2009, 2010, 2011, 2012, 2013, 2014, 2015, 2016, & 2017 in the Press & Sun Bulletin for the Southern Tier. 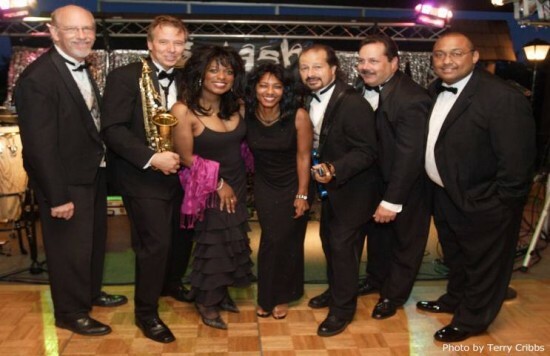 Splash has been one of the Binghamton, NY and Southern Tier area's premier bands for almost two decades, covering great dance and listening music in a variety of styles. This seven piece band delivers high quality, professional, high energy performances at clubs, parties, weddings and community events featuring dance music of the 60's, 70's, 80's, 90's and now. We provide all of our own sound and lighting for weddings, nightclub, and most *corporate events. *Corporate events: If it's an outside or arena location, additional sound and lighting would need to be provided by the event host. And many more jazz standards. Mike Carbone Agent, saxophone, flute, percussion, and vocals. Rhonda Plunkett Carbone Lead Vocals and percussion. Valerie Davis Lead Vocals and percussion. Jim Wilding Guitar and lead vocals. Stage area minimum is 16' wide by 12' deep. Larger is preferred. We come complete with our own sound, instruments, stage front and back lighting.